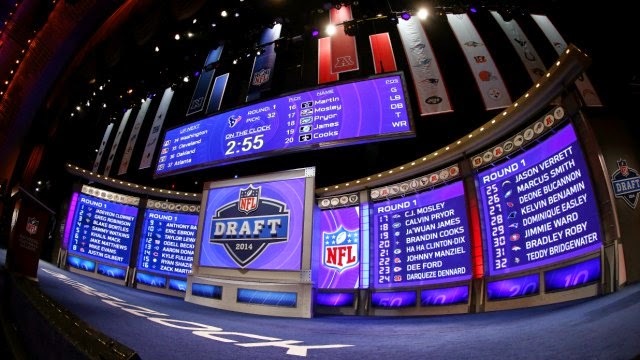 Today the NFL hosts its draft. Fans across the country hold their collective breath in anticipation of their team drafting a player that will turn their team's fortunes around. Sadly, there will still only be one Superbowl winner next year. This means that despite the hope and anticipation all teams experience at the end of the draft, 31 teams will play all next season as an exercise in futility. Each year the draft provides a moment of introspection for each team. They must look themselves in the mirror and ask: Where are our weaknesses? What failures do we need to admit? What do we need to emphasise to improve? What are our team priorities? How doe we value skill versus character? What players or positions will we continue to seek to develop, and who do we need to release? The teams undertake this process in the harsh spotlight of fans and the media. Where are the weaknesses in my relationship with God? Who have I failed? Whose forgiveness should I seek? What do I need to emphasise to improve my spiritual growth? What are my life priorities? How important is developing character compared to looking for results? Are there people, habits, or attitudes that I need to release? Are there others I need to persist at developing? Thankfully, we don't need to do this in the harsh spotlight of friends and media! But people will see a difference. So here's a list of spiritual disciplines. Which one do you need to prioritise in your life as a #1 draft pick? Disciplines of Abstinence (Defense) These practices allow us to relinquish something in order to gain something new. We abstain from “busy-ness” in ministry, family life, and work. We stop talking for a while to hear from God. Disciplines of Engagement (Offense) It’s choosing to participate in activities that nurture our souls and strengthen us for the race ahead. Don't try and choose all of these at once. You only get one first round pick. When that pick is performing well for you, then it's time to make your second selection.